In this chapter we shall consider the data, preparatory to formulating a working hypothesis. The four sources referred to in the previous chapter differ greatly in style and approach, and reflect the culture and characteristics of the people amongst whom the teaching originated (Hinduism and the Hermetic Tradition) or to whom it was addressed (Buddhism and Christianity). For each source, consideration is given to teachings about God, fundamental principles, and application, and ends with a prayer or parable. The passages from Hinduism have been largely drawn from the Bhagavad Gita and the Yoga Sutras of Patanjali. The dates of these two texts are not known, but they were probably compiled over a considerable period of time. Both were in existence by the beginning of the Christian era. There is but one problem of life; throughout all lands, in all ages, it has been the same. It is the problem of the soul and immortality. From difference of temperament or race, or both, there have been certain widely divergent lines in the effort of ancient India to solve the immemorial secret. Each had its growth and development; each its long line of adherents; each its controversies, its commentators, its triumphs. In course of time the difference between these systems grew more marked than their agreement, and controversy overshadowed appreciation. One great task of the Bhagavad Gita is that of reconciler between these divergent systems, and the revelation of the truth that they all lead to a single goal. The theme is the great regeneration, the birth of the spiritual from the psychical man. We think of ourselves as living a purely physical life, in these material bodies of ours. In reality, we have gone far indeed from pure physical life; for ages, our life has been psychical, we have been centred and immersed in the psychic nature. The teaching of the East is that the psychical man is the veil and prophecy of the spiritual man. The purpose of life, therefore, is the realising of that prophecy; the unveiling of the immortal man; the birth of the spiritual from that psychical, whereby we enter our divine inheritance and come to inhabit Eternity. Patanjali has in mind the spiritual man, to be born from the psychical. His purpose is to set in order the practical means for the unveiling and regeneration, and to indicate the fruit, the glory and the power, of that new birth. The quotations from the Gita are from the translation by Charles Johnston; the quotations from the Aphorisms of Patanjali are from the translation contained in The Light of the Soul — the Yoga Sutras of Patanjali by Alice Bailey. Though I am the Unborn, the Soul that passes not away, though I am the lord of beings, yet as lord over My nature I become manifest, through the magical power of the Soul. For whenever there is a withering of the Law, and an uprising of lawlessness on all sides, then I manifest Myself. For the salvation of the righteous, and the destruction of such as do evil; for the firm establishing of the Law I come to birth in age after age. I know all beings, the past, the present, those that are to come; but Me none knows. All manifest things spring forth from the Unmanifest, at the coming of the Day; and at the coming of the Night, they melt away into the Unmanifest again. The whole host of beings, coming into being again and again, melts away at the coming of the Night, and comes forth inevitably at the coming of the Day. But beyond this manifest Being, there is another Being, unmanifest, everlasting, which does not pass away, even when all beings perish. That Unmanifest is called the Everlasting, and this they call the Supreme Way, gaining which they return not again; this is My highest home. This supreme Spirit is to be found by undivided love; in This all beings dwell, by This was the universe stretched forth. For I am the resting place of the Eternal, of unfading immortality, of immemorial law and perfect joy. Tat twam asi - THAT art thou. The Atman, the Self, is never born and never dies. It is without a cause and is eternally changeless. It is beyond time, unborn, permanent and everlasting. Let him not exult when he meets happiness, let him not grieve when he meets sorrow; firm in soul-vision, undeluded, knowing the Eternal, he stands firm in the Eternal. When with soul detached from contact of outer things, he finds all happiness in the Soul, joined in union with the Eternal, he reaches everlasting joy. For delights born of contact with outer things are wombs of pain; they have their beginning and their ending; in them the wise finds no delight. He who even here, before the liberation from the body, is able to withstand the impetuous rush of desire and wrath, he is united, he is the happy man. Who finds his Joy within, his paradise within, his light within, that master of union, becomes the Eternal, wins Nirvana, union with the Eternal. The seers win Nirvana, union with the Eternal, whose sins are worn away, who have cut the knot of separateness, who are self-mastered, who delight in the weal of all beings. Nirvana, union with the Eternal, has come nigh to those who are rid of desire and wrath, who have gained control, who control their thoughts, who have beheld the Soul. The following instruction concerneth the Science of Union. This Union (or Yoga) is achieved through the subjugation of the psychic nature, and the restraint of the chitta (or mind). When this has been accomplished, the Yogi knows himself as he is in reality. When the object to be gained is sufficiently valued, and the efforts towards its attainment are persistently followed without intermission, then the steadiness of the mind is secured. Non-attachment is freedom from longing for all objects of desire, either earthly or traditional, either here or hereafter. The attainment of this state (spiritual consciousness) is rapid for those whose will is intensely alive. The Yoga of action, leading to union with the soul is fiery aspiration, spiritual reading and devotion to Ishvara [God as a personal Being]. 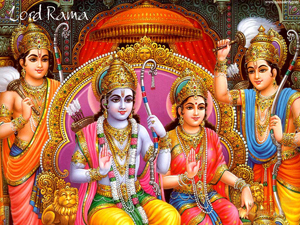 The aim of these three is to bring about soul vision and to eliminate obstructions. These are the difficulty producing hindrances: avidya [ignorance], the sense of personality, desire, hate and the sense of attachment. Avidya is the cause of all the other obstructions whether they be latent, in process of elimination, overcome, or in full operation. Avidya is the condition of confusing the permanent, pure, blissful and the Self with that which is impermanent, impure, painful and the not-self. The sense of personality is due to the identification of the knower with the instruments of knowledge. Intense desire for sentient existence is attachment. This is inherent in every form, is self-perpetuating, and known even to the very wise. These five hindrances, when subtly known, can be overcome by an opposing mental attitude. Karma itself has its root in these five hindrances and must come to fruition in this life or in some later life. So long as the roots [or samskaras] exist, their fruition will be birth, life, and the experiences resulting in pleasure or pain. These seeds [or samskaras] produce pleasure or pain according as their originating cause was good or evil. All that is exists for the sake of the soul. When the means to yoga have been steadily practised, and when impurity has been overcome, enlightenment takes place, leading up to full illumination. When concentration, meditation and contemplation form one sequential act, then is sanyama achieved. As a result of sanyama comes the shining forth of the light. This illumination is gradual; it is developed stage by stage. Through the cultivation of this habit of mind there will eventuate a steadiness of spiritual perception. The establishing of this habit, and the restraining of the mind from its thought-form-making tendency, results eventually in the constant power to contemplate. Knowledge of previous incarnations becomes available when the power to see thought-images is acquired. Those who have attained self-mastery can be seen and contacted through focussing the light in the head. This power is developed in one-pointed meditation. All things can be known in the vivid light of the intuition. The man who develops non-attachment even in his aspiration after illumination and isolated unity, becomes aware, eventually through practised discrimination, of the overshadowing cloud of spiritual knowledge. Time which is the sequence of the modifications of the mind, likewise terminates, giving place to the Eternal Now. Thy right is to the work, but never to its fruits; let not the fruit of thy work be thy motive, nor take refuge in abstinence from works. Better one’s own duty without excellence than the duty of another well followed out. Death in one’s own duty is better; the duty of another is full of danger. ARJUNA: This union through Oneness which is taught by Thee, — I perceive not its firm foundation, owing to the wavering of the mind. For the mind wavers, turbulent, impetuous, forceful; and I think it is as hard to hold as the wind! THE MASTER: Without doubt, the wavering mind is hard to hold; but through assiduous practice, and through detachment it may be held firm. Putting away hate for any being, friendly, pitiful, without desire or possessions, without vanity, equal in weal and woe, patient. Content, ever following union, self-ruled, firmly determined, with heart and soul centred in Me, who thus loves Me is beloved of Me. He whom the world fears not, who fears not the world, free from exultation, anguish, fear, disquiet, such a one is beloved of Me. Unconcerned, pure, direct, impartial, unperturbed, renouncing all personal initiatives, who thus loves Me is beloved of Me. Who exults not nor hates nor grieves nor longs, renouncing fortune and misfortune, who is thus full of love is beloved of Me. Equal to foe and friend, equal in honour, and dishonour, equal in cold and heat, weal and woe, from attachment altogether free. Balanced in blame or praise, full of silence, content with whatever may befall, seeking no home here, steadfast-minded full of love, this man is beloved of Me. And they who draw near to the righteous Immortal thus declared, full of faith, resting in Me, full of love, they are beyond all beloved of Me. In the presence of him who has perfected harmlessness, all enmity ceases. When truth to all beings is perfected, the effectiveness of his words and acts is immediately to be seen. When abstention from theft is perfected, the yogi can have whatever he desires. By abstention from incontinence, energy is acquired. When abstention from avarice is perfected, there comes an understanding of the law of rebirth. Writings attributed to Hermes Trismegistus embrace an enormous range of teaching, and have led to many different schools. The quotations which follow have been taken from The Occult Way and Sayings of the Ancient One by P. G. Bowen, who followed A.E. (George Russell) as President of the Hermetic Society of Dublin. They possess an outstandingly precise, though cryptic quality. `I am all that was. I am all that is. I am all that is to be. `I am all forms; all forms live in me, but All-Form is not I, but only my fleeting shadows. `I am all power; all power moves in me, but All-Power is not I, but only my changing aspects. `I am all wisdom; all wisdom shines in me, but All-Wisdom is not I, but only my fitful gleams. As is the Inner so is the Outer; as is the Great so is the Small; as it is Above so it is Below: there is but one Life and Law. Nothing is Inner, nothing is Outer; nothing is Great, nothing is Small; nothing is High, nothing is Low, in the Divine Economy. Nothing is false; nothing is true; all things that exist are but masks of Truth; accept no thing; reject no thing; learn from study of all; but above all learn from the Learner. The Mother lives by eternally restoring a balance that her children eternally destroy. The vices of men become steps in the ladder, one by one as they are surmounted. The virtues of men are steps . . . but though they create a fair atmosphere and a happy future they are useless if they stand alone. Rest upon no step however high; if you do it will change and become a snare. For within you is the light of the world — the only light that can be shed upon the Path. If you cannot see it within you it is useless to look for it elsewhere. It is beyond you; because when you have reached it you have lost yourself. It is unattainable because it for ever recedes. You will enter the light but you will never touch the flame. The principle which gives life dwells in us and without us, is undying and eternally beneficent, is not heard or seen, or smelt, but is perceived by the man who desires perception. Labour always like one who seeks a Royal Reward for a task well done; but find your reward in work continued and never in work completed. Rejoice if your lot is happy; but if it is miserable rejoice also: Joy and Sadness are your twin slaves joined from birth, and they must serve you together or serve you not at all. Love Life, for he is the Great teacher; but love Death also, for he is the other Self of Life, who alone can teach you nothing. Regard your five senses as tax-gatherers to a king, for they bring you toll of the wealth of your kingdom, but beware lest the spoils they collect deceive you and cause you to forget that they are but tithes. He saw the lightning in the East, and longed for the East; had he seen it in the West he would have longed for the West; but I, seeking only the Lightning and its Glory, care nothing for the Quarters of the Earth. If you voyage with the stream of true Waters you will reach six different ports, and these are their names: Light, Strength, Peace, Wealth, Self, Wisdom. True Light lies hidden behind Giant Rocks, and its only approach is through the Caverns of Mind. True Strength is encompassed by demons called Powers, and cannot be gained until they are slain. True Peace is encircled by seething whirlpools, and can be entered only while Tempests rage. True Wealth is enshrouded by Shadows called Possessions, and cannot be gained until they are scattered. True Self is masked by countless reflections, and cannot be sighted until they are washed away. True Wisdom has no shadows, and is found in Sunlit Waters when all other ports are passed. In relation to Buddhism serious difficulties are presented by the extent of present texts and commentaries, and the time which elapsed between the death of the Buddha and the first written texts. Before these appeared, everything depended on oral tradition. It follows that selecting passages which record correctly what the Buddha actually said is extremely hazardous! At the same time much of the Buddha’s teaching centres round certain major themes, so that his reported discourses which refer to these themes in a direct and simple manner are unlikely to differ significantly from what he actually said. The passages quoted have been chosen with this in mind. Unless stated otherwise, they have been taken from Some Sayings of the Buddha, according to the Pali Canon, by F. L. Woodward. Included as an Appendix are the Twelve Principles of Buddhism, a statement which was prepared shortly after the end of World War II and has the general agreement of many of today’s Buddhist schools. 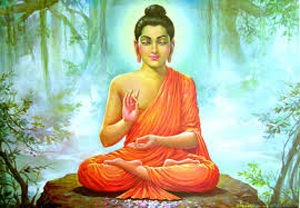 Statements made by Gautama, the Buddha, about himself. I, brethren, when I so desire it, can call to mind my various states of birth . . . I lived there, was named thus, was of such a clan, of such a caste, was thus supported, had such and such pleasant and painful experiences, had such a length of days, disappeared thence and arose elsewhere: there too I lived, was named thus, was of such a clan, of such a caste — thus can I call to mind in all their specific details, in all their characteristics, in many various ways, my previous states of existence. It is that Craving that leads downwards to birth, along with the Lure and the Lust that lingers longingly now here, now there: namely, the craving for Sensation, the Craving to be born again, the Craving to have done with rebirth. Such, brethren, is the Ariyan Truth about The Origin of Suffering. Verily it is the utter passionless cessation of, the giving up, the forsaking, the release from, the absence of longing for, this Craving. RIGHT VIEW, RIGHT AIM, RIGHT SPEECH, RIGHT ACTION, RIGHT LIVING, RIGHT EFFORT, RIGHT MINDFULNESS, RIGHT CONTEMPLATION. Brethren, of deeds done and accumulated with deliberate intent I declare there is no wiping out. That wiping out has to come to pass either in this very life or in some other life at its proper occasion. Without experiencing the results of deeds so done, I declare there is no making an end of ill. Devotion to the pleasures of sense — a low and pagan practice, unworthy, unprofitable, the way of the world on the one hand, and on the other hand devotion to self-mortification, which is painful, unworthy, unprofitable. By avoiding these two extremes He who hath won the Truth has gained knowledge of that Middle Path which giveth Vision, which giveth Knowledge, which causeth Calm, Insight, Enlightenment, and Nirvana. And what is that Middle Path? MINDFULNESS, RIGHT CONTEMPLATION. Now what, brethren, is RIGHT VIEW? The Knowledge about Ill, the Arising of Ill, the Ceasing of Ill, and the Way leading to the Ceasing of Ill, — that, brethren, is called Right View. And what, brethren, is RIGHT AIM? The being set on Renunciation, on Non-resentment, on Harmlessness, — that, brethren, is called Right Aim. And what, brethren, is RIGHT SPEECH? Abstinence from lying speech, from backbiting and abusive speech, and from idle babble, — that, brethren, is called Right Speech. And what, brethren, is RIGHT ACTION? Abstinence from taking life, from taking what is not given, from wrong-doing in sexual passions, — that, brethren, is called Right Action. And what, brethren, is RIGHT LIVING? Herein, brethren, the Ariyan disciple, by giving up wrong living, gets his livelihood by right living, — that, brethren, is called Right Living. And what, brethren, is RIGHT EFFORT? Herein, brethren, a brother generates the will to inhibit the arising of evil immoral conditions that have not yet arisen: he makes an effort, he sets energy afoot, he applies his mind and struggles. Likewise (he does the same) to reject evil immoral conditions that have already arisen. Likewise (he does the same) to cause the arising of good conditions that have not yet arisen. Likewise (he does the same) to establish, to prevent the corruption, to cause the increase, the practice, the fulfilment of good conditions that have already arisen. This, brethren, is called Right Effort. And what, brethren, is RIGHT MINDFULNESS? Herein, brethren, a brother dwells regarding body as a compound, he dwells ardent, self possessed, recollected, by controlling the covetousness and dejection that are in the world. So also with regard to Feelings, with regard to Perception, with regard to the Activities, with regard to Thought. This, brethren, is called Right Mindfulness. Abstention from all evil, doing of what is skilled, purification of one’s thought — this is the doctrine of the Buddhas. Work out your own salvation — with diligence. Once the Exalted One was staying near Savatthi. A number of sectarians, recluses, and brahmins who were wanderers, entered Savatthi to beg an alms: they were men of divers faith, of divers aims, and by divers opinions swayed to and fro. And each maintained that his own view was the truth, and that all else was delusion. `These sectarians, brethren, are blind and unseeing. They know not the real, they know not the unreal, know not the truth, know not the untruth: in such a state of ignorance do they dispute and quarrel. `And to one man he presented the head of the elephant, to another the ear, to another a tusk, the trunk, the foot, back, tail, and tuft of the tail, saying to each one that that was the elephant. `Thereupon those who had been presented with the head answered, “Your majesty, an elephant is just like a pot.” And those who had only observed the ear replied, “An elephant is just like a winnowing-basket.” Those who had been presented with the tusk said it was a ploughshare. Those who knew only the trunk said it was a plough. “The body,” said they, “is a granary: the foot, a pillar: the back, a mortar: its tail, a pestle: the tuft of the tail, just a besom.” Then they began to quarrel, shouting, “Yes, it is. No, it isn’t.” And so on, till they came to fisticuffs. 1. Self-salvation is for any man the immediate task. If a man lay wounded by a poisoned arrow he would not delay extraction by demanding details of the man who shot it, or the length and make of the arrow. There will be time for ever-increasing understanding of the Teaching during the treading of the Way. Meanwhile, begin now by facing life as it is, learning always by direct and personal experience. 2. The first fact of existence is the law of change or impermanence. All that exists, from a mole to a mountain, from a thought to an empire, passes through the same cycle of existence — i.e. birth, growth, decay and death. Life alone is continuous, ever seeking self-expression in new forms. ‘Life is a bridge; therefore build no house on it.’ Life is a process of flow, and he who clings to any form, however splendid, will suffer by resisting the flow. 3. The law of change applies equally to the ‘soul’. There is no principle in an individual which is immortal and unchanging. Only the ‘namelessness’, the ultimate Reality, is beyond change, and all forms of life, including man, are manifestations of this Reality. No one owns the life which flows in him any more than the electric light bulb owns the current which gives it light. 4. 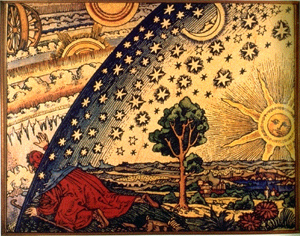 The universe is the expression of law. All effects have causes, and man’s soul or character is the sum total of his previous thoughts and acts. Karma, meaning action-reaction, governs all existence, and man is the sole creator of his circumstances and his reaction to them, his future condition and his final destiny. By right thought and action he can gradually purify his inner nature, and so by self-realisation attain in time liberation from rebirth. The process covers great periods of time, involving life after life on earth, but ultimately every form of life will reach Enlightenment. 5. Life is one indivisible, though its ever-changing forms are innumerable and perishable. There is, in truth, no death, though every form must die. From an understanding of life’s unity arises compassion, a sense of identity with the life in other forms. Compassion is described as ‘the Law of laws — eternal harmony’, and he who breaks this harmony of life will suffer accordingly and delay his own Enlightenment. 6. Life being One, the interests of the part should be those of the whole. In his ignorance man thinks he can successfully strive for his own interests, and this wrongly-directed energy of selfishness produces suffering. He learns from his suffering to reduce and finally eliminate its cause. The Buddha taught four Noble Truths: (a) The omnipresence of suffering; (b) its cause, wrongly directed desire; (c) its cure, the removal of the cause; and (d) the Noble Eightfold Path of self-development which leads to the end of suffering. 9. From potential to actual Enlightenment there lies the Middle Way, the Eightfold Path ‘from desire to peace’, a process of self-development between the ‘opposites’, avoiding all extremes. The Buddha trod this Way to the end, and the only faith required in Buddhism is the reasonable belief that where a Guide has trodden it is worth our while to tread. The Way must be trodden by the whole man, not merely the best of him, and heart and mind must be developed equally. The Buddha was the All-Compassionate as well as the All-Enlightened One. 10. Buddhism lays great stress on the need of inward concentration and meditation, which leads in time to the development of the inner spiritual faculties. The subjective life is as important as the daily round, and periods of quietude for inner activity are essential for a balanced life. The Buddhist should at all times be `mindful and self-possessed’, refraining from mental and emotional attachment to ‘the passing show’. This increasingly watchful attitude to circumstances, which he knows to be his own creation, helps him to keep his reaction to it always under control. 11. The Buddha said: ‘Work out your own salvation with diligence.’ Buddhism knows no authority for truth save the intuition of the individual, and that is authority for himself alone. Each man suffers the consequences of his own acts, and learns thereby, while helping his fellow men to the same deliverance; nor will prayer to the Buddha or to any God prevent an effect from following its cause. Buddhist monks are teachers and exemplars, and in no sense intermediates between Reality and the individual. The utmost tolerance is practised towards all other religions and philosophies, for no man has the right to interfere in his neighbour’s journey to the Goal. 12. Buddhism is neither pessimistic nor ‘escapist’, nor does it deny the existence of God or soul, though it places its own meaning on these terms. It is, on the contrary, a system of thought, a religion, a spiritual science and a way of life, which is reasonable, practical and all-embracing. For over two thousand years it has satisfied the spiritual needs of nearly one-third of mankind. It appeals to the West because it has no dogmas, satisfies the reason and the heart alike, insists on self-reliance coupled with tolerance for other points of view, embraces science, religion, philosophy, psychology, ethics and art, and points to man alone as the creator of his present life and sole designer of his destiny. Here, the same difficulty exists as in the case of Buddhism, though not in such an acute form. According to the experts, the appearance of the first Gospel, that of Mark, was probably not until thirty or forty years after the death and resurrection of Jesus. Though this is not a long period compared with the two thousand years of the Christian era, much can get distorted or be forgotten in a period of thirty or forty years, and care must therefore be exercised regarding the weight placed on a particular saying. The choice of the passages quoted must inevitably be open to criticism, but it is hoped that they embody the heart of what Jesus actually said and taught. It is, of course, realised that very little is said about the crucifixion, death and resurrection — what many Christians regard as the essence of Christianity — because the quoted passages have been selected from what Jesus is recorded as having said, not from the descriptive accounts of others. 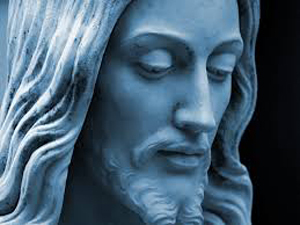 A particular problem is posed by the meditations of Jesus recorded in John. It is inconceivable that what Jesus is reported to have said (if, indeed, he actually said anything) would have been in the presence of, let alone audible to, a bystander. (cf. Matthew 6:6) But what is recorded in the Gospel has an underlying authority which is unmistakable. In what follows, unless indicated by the letters A.V. (Authorised Version), the Biblical quotations are all taken from the Revised Version. God is Spirit: and they that worship him must worship in spirit and truth. Why callest thou me good? None is good save one, even God. Before Abraham was, I am. I and the Father are one. The Father is in me, and I in the Father. I am the way, and the truth, and the life: no one cometh unto the Father, but by me. If ye loved me, ye would have rejoiced, because I go unto the Father: for the Father is greater than I.
I am the light of the world: he that followeth me shall not walk in the darkness, but shall have the light of life. Whereunto shall I liken the kingdom of God? It is like unto leaven, which a woman took and hid in three measures of meal, till it was all leavened. The kingdom of God cometh not with observation: neither shall they say, Lo, here! or, There! for lo, the kingdom of God is within you. The first is; the Lord our God, the Lord is one: and thou shalt love the Lord thy God with all thy heart, and with all thy soul, and with all thy mind, and with all thy strength. The second is this, Thou shalt love thy neighbour as thyself. There is none other commandment greater than these. For with what measure ye mete it shall be measured to you again. Verily, verily I say unto thee, Except a man be born anew, he cannot see the Kingdom of God. Nicodemus saith unto him, How can a man be born when he is old? can he enter a second time into his mother’s womb, and be born? Jesus answered, Verily, verily, I say unto thee, Except a man be born of water and the Spirit, he cannot enter into the kingdom of God. That which is born of the flesh is flesh; and that which is born of the Spirit is spirit. Blessed are they that mourn: for they shall be comforted. Blessed are the meek: for they shall inherit the earth. Ye have heard that it hath been said, Thou shalt love thy neighbour, and hate thine enemy. But I say unto you, Love your enemies, bless them that curse you, do good to them that hate you, and pray for them which despitefully use you, and persecute you; that ye may be the children of your Father which is in heaven. But thou, when thou prayest, enter into thy closet, and when thou has shut thy door, pray to thy Father which is in secret; and thy Father which seeth in secret shall reward thee openly. But when ye pray, use not vain repetitions, as the heathen do: for they think that they shall be heard for their much speaking. Our Father which art in heaven, Hallowed be thy name. Thy Kingdom come. Thy will be done in earth, as it is in heaven. Give us this day our daily bread. And forgive us our debts, as we forgive our debtors. And lead us not into temptation, but deliver us from evil: For thine is the kingdom, and the power and the glory, for ever. Amen. No man can serve two masters: for either he will hate the one, and love the other; or else he will hold to the one and despise the other. Ye cannot serve God and mammon. Therefore I say unto you, Be not anxious for your life, what ye shall eat, or what ye shall drink; nor yet for your body, what ye shall put on. Is not the life more than the food, and the body than the raiment? . . . Consider the lilies of the field, how they grow; they toil not, neither do they spin: yet I say unto you, that even Solomon in all is glory was not arrayed like one of these. But if God doth so clothe the grass of the field, which today is, and tomorrow is cast into the oven, shall he not much more clothe you, 0 ye of little faith? A certain man had two sons: and the younger of them said to his father, Father, give me the portion of thy substance that falleth to me. And he divided unto them his living. And not many days after the younger son gathered all together, and took his journey into a far country; and there he wasted his substance with riotous living. And when he had spent all, there arose a mighty famine in that country; and he began to be in want. And he went and joined himself to one of the citizens of that country; and he sent him into his fields to feed swine. And he would fain have been filled with the husks that the swine did eat: and no man gave unto him. But when he came to himself he said, How many hired servants of my father’s have bread enough and to spare, and I perish here with hunger! I will arise and go to my father, and will say unto him, Father, I have sinned against heaven, and in thy sight: I am no more worthy to be called thy son: make me as one of thy hired servants. And he arose, and came to his father. But while he was yet afar off, his father saw him, and was moved with compassion, and ran, and fell on his neck, and kissed him. And the son said unto him, Father, I have sinned against heaven, and in thy sight: I am no more worthy to be called thy son. But the father said to his servants, Bring forth quickly the best robe, and put it on him; and put a ring on his hand, and shoes on his feet: and bring the fatted calf, and kill it, and let us eat, and make merry: for this my son was dead, and is alive again; he was lost, and is found. And they began to be merry. Now his elder son was in the field: and as he came and drew nigh to the house, he heard music and dancing. And he called to him one of the servants, and inquired what these things might be. And he said unto him, Thy brother is come; and thy father hath killed the fatted calf, because he hath received him safe and sound. But he was angry, and would not go in: and his father came out, and entreated him. But he answered and said to his father, Lo, these many years do I serve thee, and I never transgressed a commandment of thine: and yet thou never gayest me a kid, that I might make merry with my friends: but when this thy son came, which hath devoured thy living with harlots, thou killedst for him the fatted calf. And he said unto him, Son, thou art ever with me, and all that is mine is thine. But it was meet to make merry and be glad: for this thy brother was dead, and is alive again; and was lost, and is found.